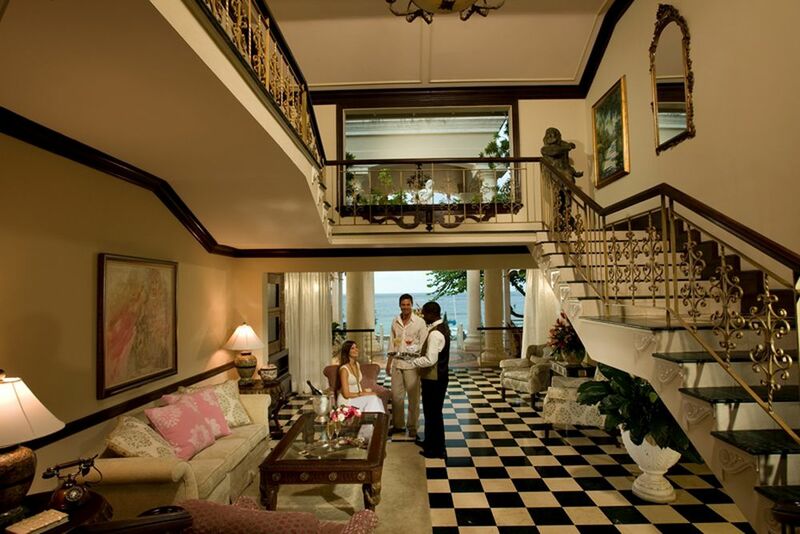 At the Sandals Royal Plantation you can experience the most luxurious facet of Jamaica. From the outside, the building only gives an idea of how luxurious it is inside. An unspoilt beach right outside the door invites you to sunbathe and go for a walk. 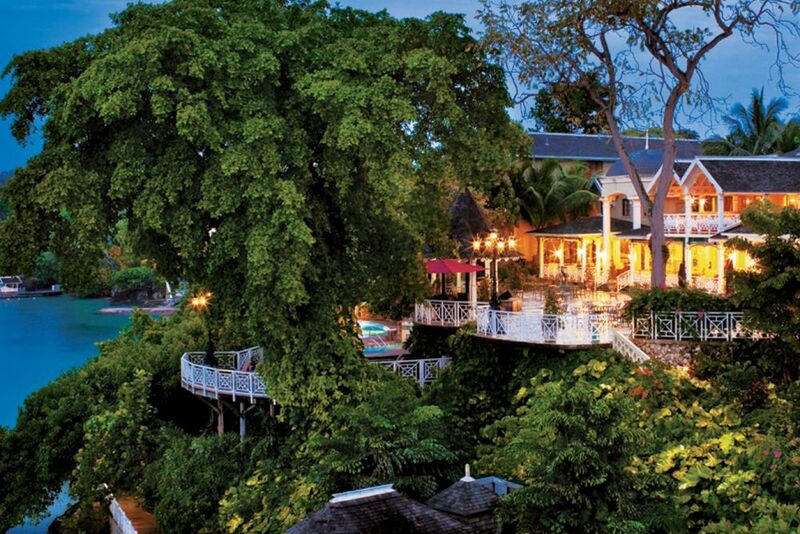 In the evening, the Sandals Royal Plantation unfolds its true beauty. The interior of the noble hotel radiates a comfortable atmosphere. 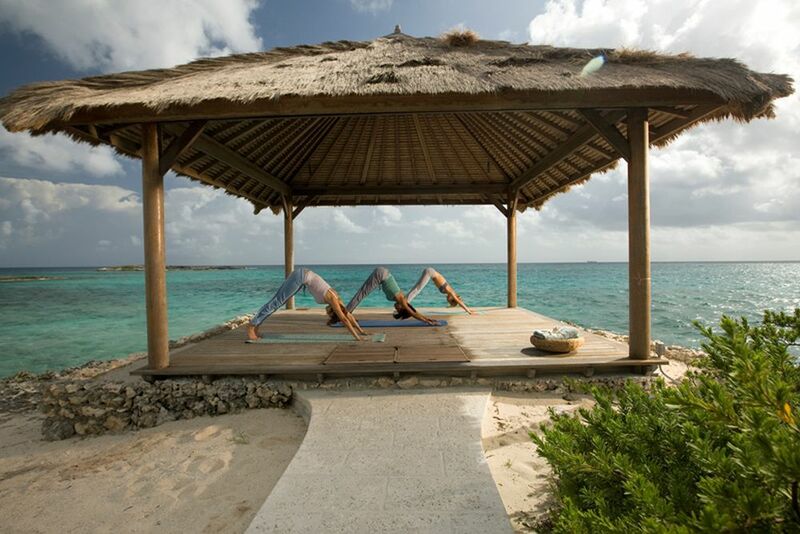 Relax with yoga in front of breathtaking scenery. 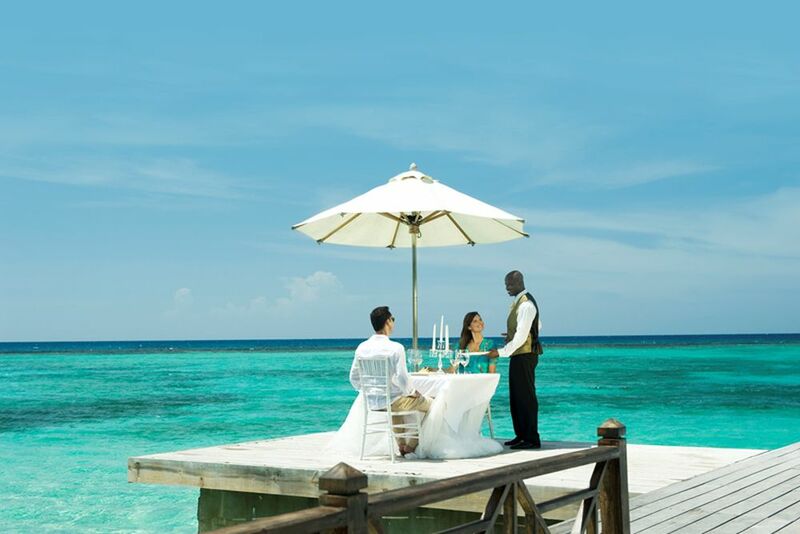 Dine exquisitely on the pier - the Sandals Royal Plantation leaves nothing to be desired. The view from the suite will provide unforgettable moments. Lean back and forget everyday life. 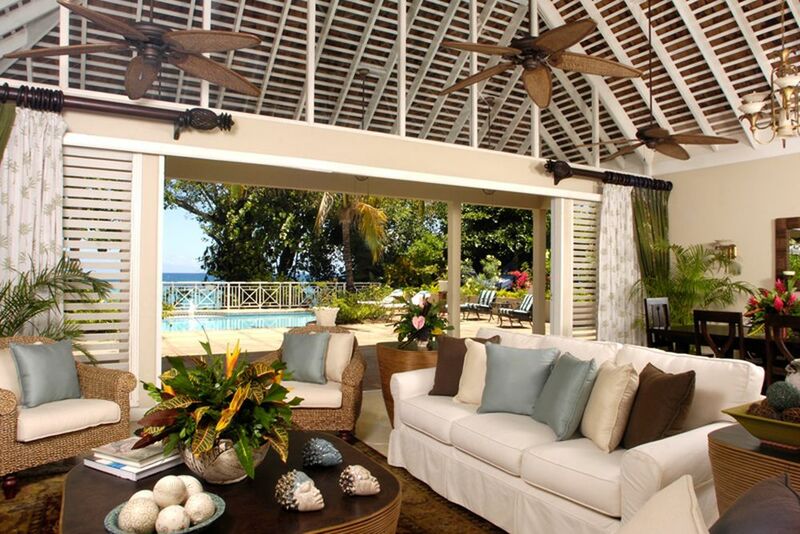 Simple Jamaican decor prevails in most villas. Peace and relaaxation are guaranteed here. Tucked into a magnificent coral bluff, discover an elegant and exquisitely private holiday experience at an intimate adult-only, all-inclusive resort on the glittery coast of the Caribbean Sea. 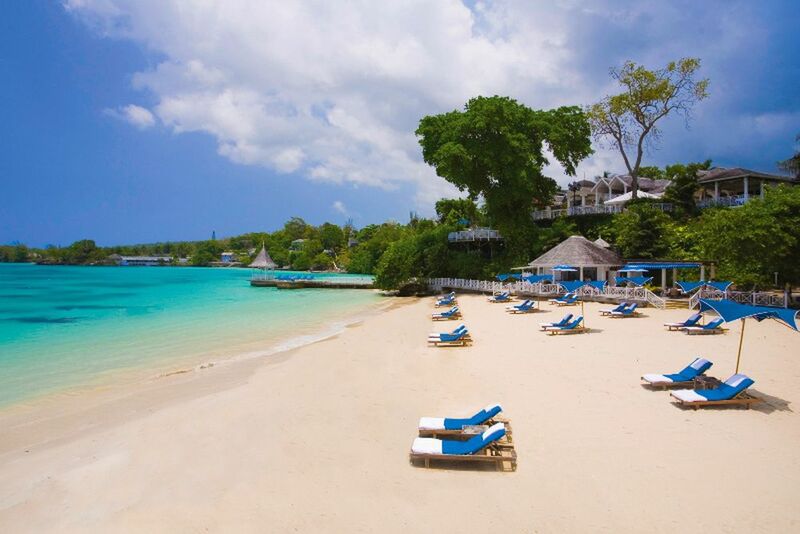 Sandals Royal Plantation is the perfect oasis for peace, relaxation and water sports in Jamaica. 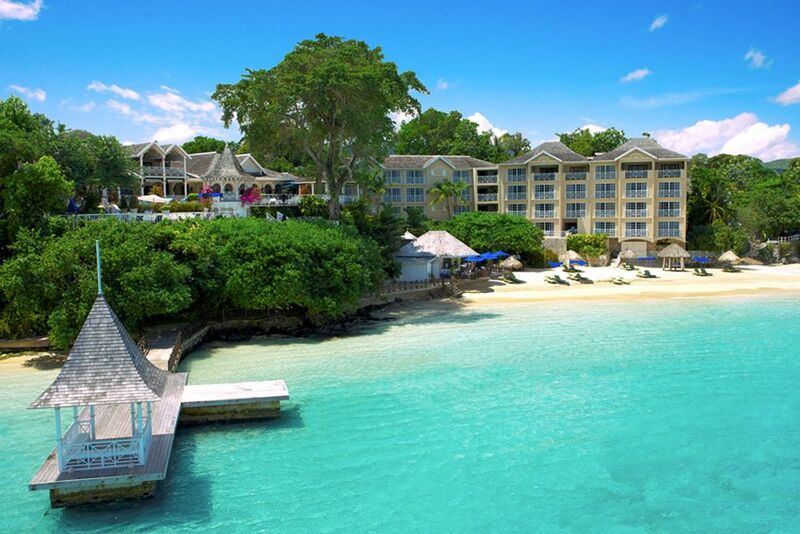 Located off a cliff nearly eight feet above the shining sea, the Sandals Royal Plantation Resort lies amongst Ocho Rios in the picturesque north coast of Jamaica. 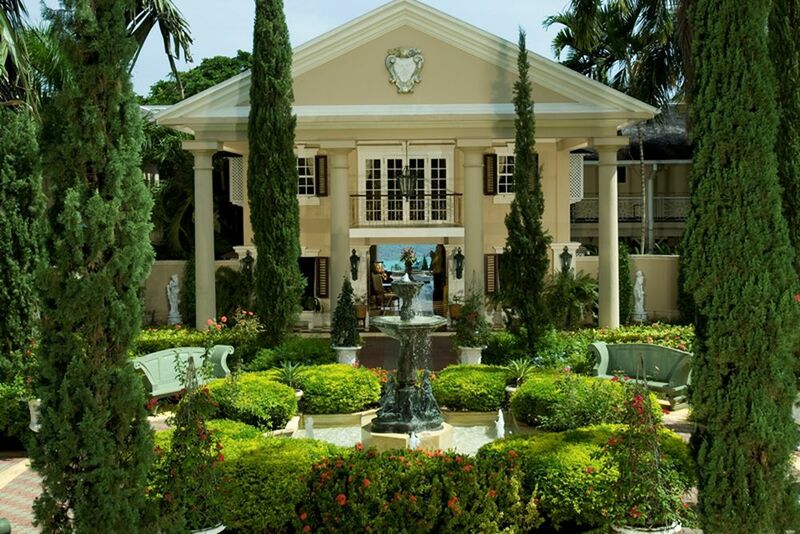 The historic resort has been a favorite hideaway for years to international jet setters and literary elite because of its casual island elegance and authentic Jamaican vibe. Renowned for unmatched attention to detail, this enclave of retro-chic sophistication showcases roaming peacocks and manicured lawns. The resort is a 15-minute drive from Ian Fleming International Airport. Take a culinary journey around the world through Sandals Royal Plantation’s exclusive restaurants. Five different restaurants serve a variety of dishes for the most discerning guests. Le Papillon is a restaurant which pampers its guests daily with French specialties. Enjoy the perfect dining experience with an evening in a relaxed French atmosphere with culinary excellence. The Royal Grill invites you to immerse your senses in a relaxed atmosphere complemented by exotic and grilled specialties. This restaurant is located on the beautiful beaches for only the best experience. Find a large selection of teas at the Tea Terrace, complemented with panoramic views. Sit at The Terrace to enjoy breathtaking views of the Ocho Rios region complemented by Italian, Caribbean and Mediterranean cuisine to accompany the pleasant atmosphere. For an English pub atmosphere, visit the Pub Wobbly Peacock for a relaxing evening with tasty cocktails. 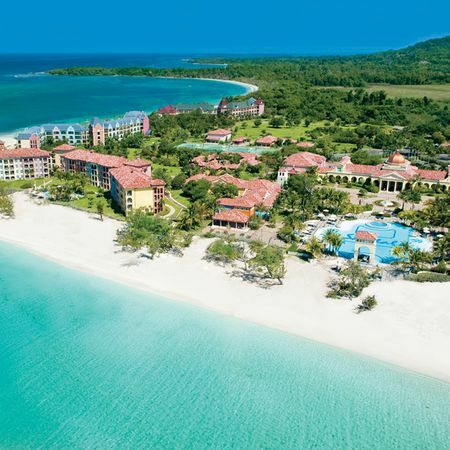 The all-inclusive, adults-only Sandals Royal Plantation resort leaves you with no desires because of its attentive service and luxurious suites. 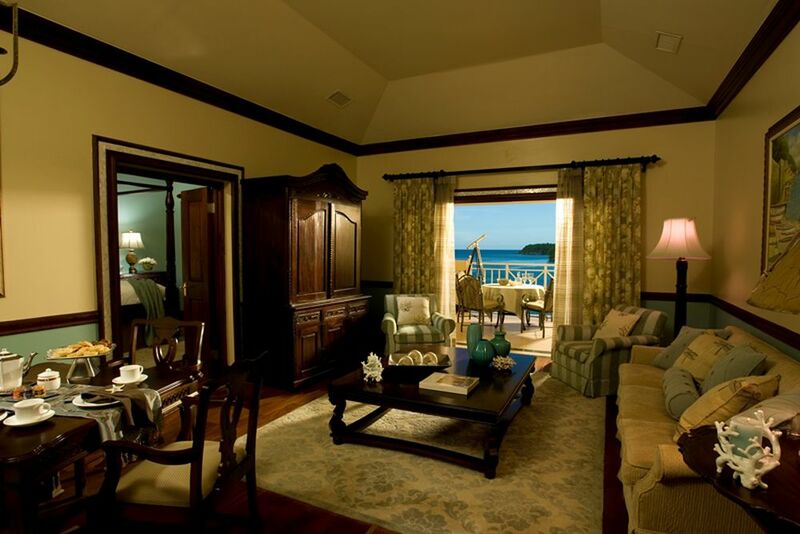 The 74 suites are categorized into eight different styles, all with uninterrupted sea views. All suites are equipped with air conditioning, ceiling fan, iron and ironing board, iPod docking station, flat screen TV with cable, hairdryer, bathrobe, coffee machine, in-suite bar, daily New York Times, fax machine, 24-hour room service, free-standing bathtub, and telephones. The following rooms are located in the Villa Plantana, which has a separate pool and access to the 18-hole golf course. Great House Oceanfront Butler Suite (43 square meters)— Located in the west wing, enjoy breathtaking views from the suite’s French style balcony. The large and airy suite is equipped with mahogany beds and an oversized bathroom downstairs with a free-standing bathtub and elegantly designed walk-in shower. Enjoy fine wines and liquors from your personal bar whilst relaxing at your cozy seating corner. 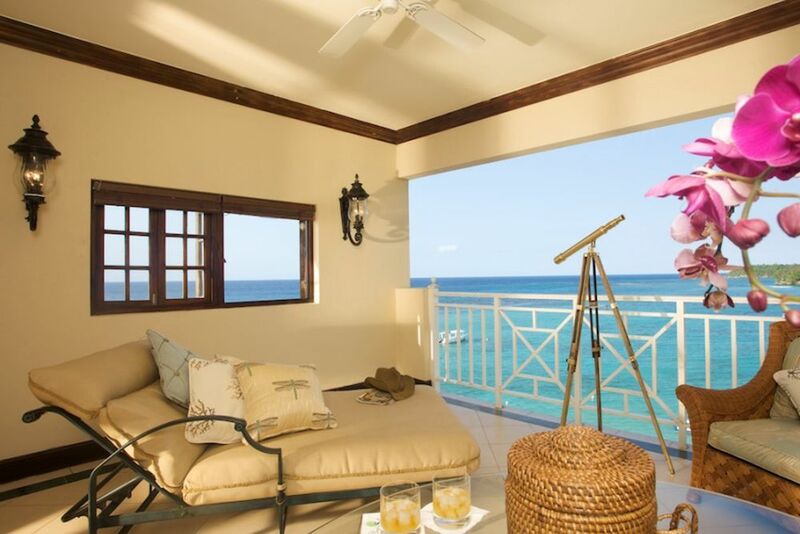 Plantation Oceanfront Butler Suite (36 square meters)—These suites are in the east and west wings of the resort, providing perfect views of the glistening Caribbean Sea from the French-style balcony. Large glass doors allow unobstructed views from your mahogany king size beds or from your charming seating area. The luxurious suite is completed with the loving master bedroom and two bathroom vanities. 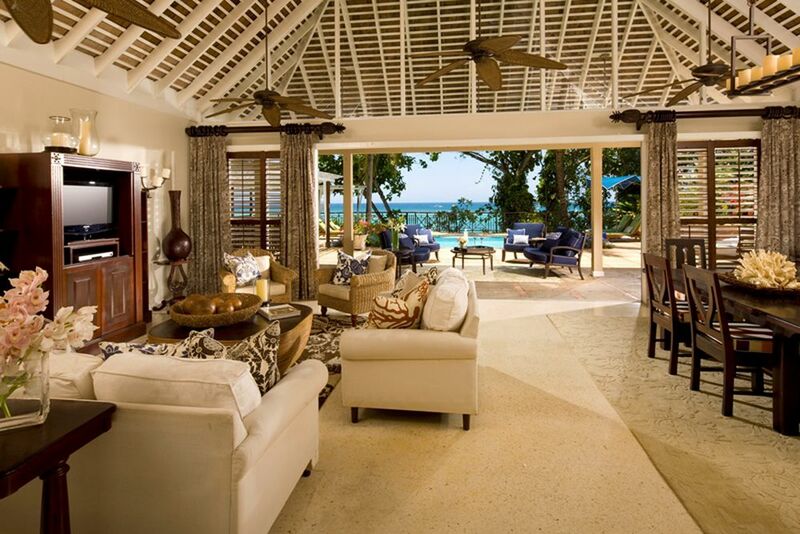 Orchid Oceanfront Butler Suite (34 square meters)—Located in the east and west wings of the resort, these suites offer impressive views of the resort’s private beach. The personal well-stocked bar is filled with exquisite wines and liquors in the comfort of your room. The large sleeping area includes a king-size bed and plasma TV with a bathroom like the Plantation Oceanfront Butler Suite. Other suites are available upon request. Famous throughout all Sandals Resorts, the Sandals Plantation offers remarkable treatments at the outstanding Red Lane Spa. Let your mind go and recharge your batteries from everyday stress. Close your eyes and let yourself be massaged by one of the many experienced specialists. For all guests, find the air-conditioned gym with the latest equipment to stay in shape even while you are on vacation. Located at the resort is a challenging 18-hole golf course with beautiful panoramic views of the Caribbean Sea. There is also a pool table, a heated freshwater pool and hot tub for guests to enjoy. Water sports enthusiasts will also get their money’s worth by trying one of the many activities available: windsurfing, snorkeling, waterskiing, etc.